Welcoming you with an array of flowers and beautiful gardens, the Moara cu Noroc is a historic site located around 60 kilometres away from Brasov. The mill is loved for its old construction and simple working technique- using hydraulic power to grind flour. What is unique about the mill is that it is over 100 years old and is in near-perfect condition. The stone used for the construction of the mill are said to be brought from France. The surrounding lush green area is perfect for walk later and if you want, you can also stay at the nearby hostel. The owner is extremely friendly and the story behind very interesting. Amazing experience! 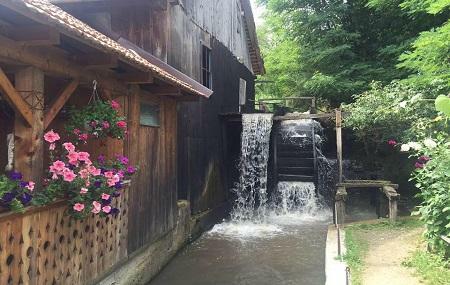 Beautiful, original, still working, water mill. Family owned business, this is the fourth generation since 1873, when it was built. Wooden hidraulic mechanism with French mill stones, everything is working perfectly. Genuine and authentic place, must see before you die. Very interesting piece of technological and anthropological history.